Published: 17th July 2012 by Todd. 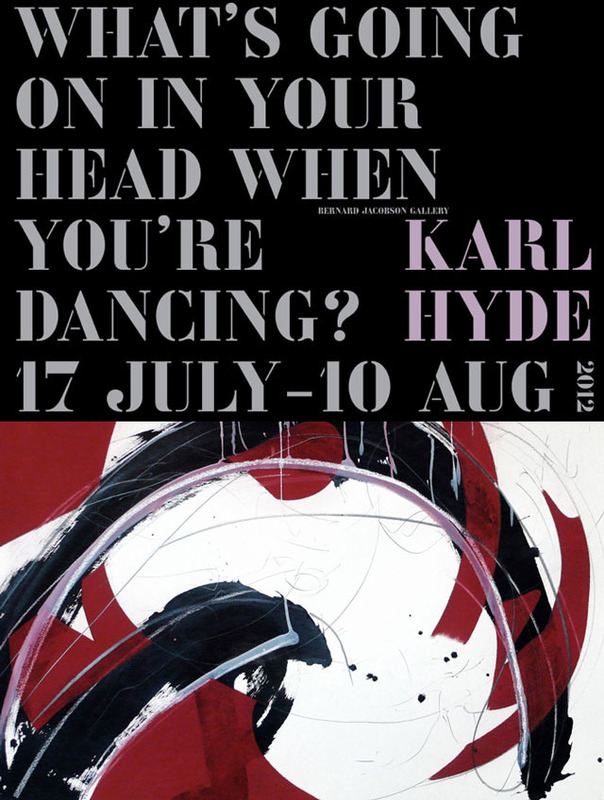 Karl Hyde’s solo art exhibition, “What’s Going on in Your Head When You’re Dancing?“, previously exhibited in Tokyo, is now coming to London. 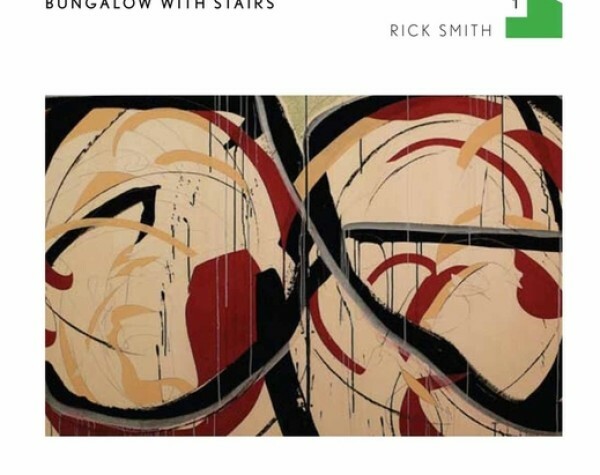 It is running from July 17 through August 10 at the Bernard Jacobson Gallery in London. The gallery is free to enter, and is open Mon – Fri from 10am to 6pm, and Sat 11am to 1pm. 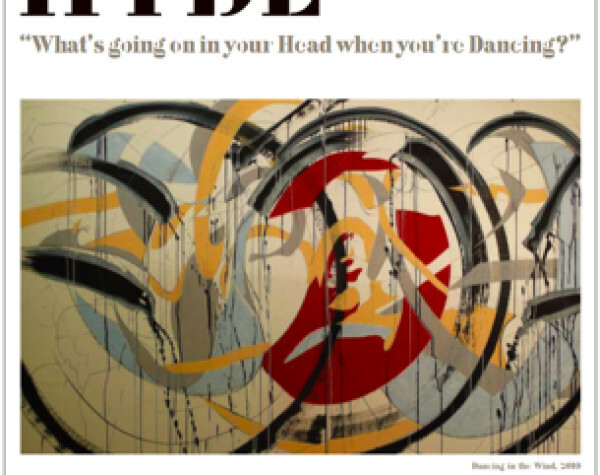 Hyde’s large-scale paintings, diptych and triptychs, are entirely abstract gestural works, which have an affinity to both abstract expressionism and Japanese calligraphy. Painted on paper or packing cardboard with very large soft brushes and drawn into with charcoal and pastel, in some works one single gesture runs the length of the surface, in others marks combine into something more rhythmically complex. Hyde will often sit in front of the blank support, rehearsing the action he is about to take in his head before he begins the work itself, in much the same way as he rehearses the movements he will make across the stage during a performance. In the exhibition these paintings will be accompanied by more intimate pencil drawings and scroll like works in pencil and gouache on Japanese fold-out books, which describe driving through the chaotic urban environment of cities such as Tokyo and Miami.